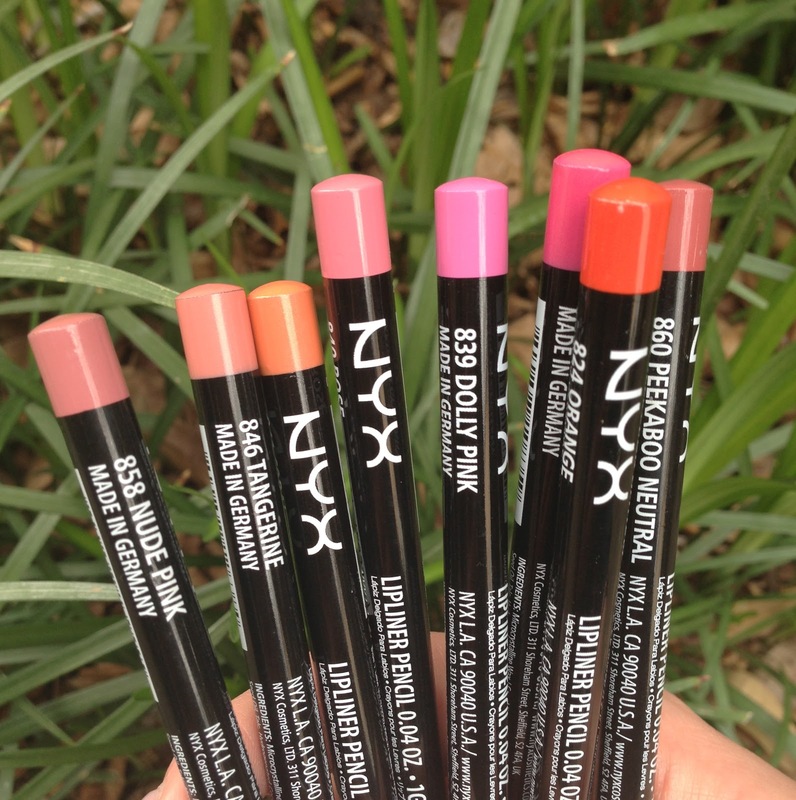 I ordered these NYX Lipliner pencils online recently after looking through my lipstick collection and realizing that I hardly had any liners to match them. If you have small lips (like moi) then simply lining your lips can change your world. Lining your lips not only gives the illusion of a fuller pout, but ensures that any lipstick you apply stays on lockdown. I am so pleased with the quality of these liners. Their formula isn't too dry or too soft and so they are easy and smooth to apply. They are really pigmented, long-wearing and come in a wide range of colors. I think the quality is absolutely amazing for the price you pay. 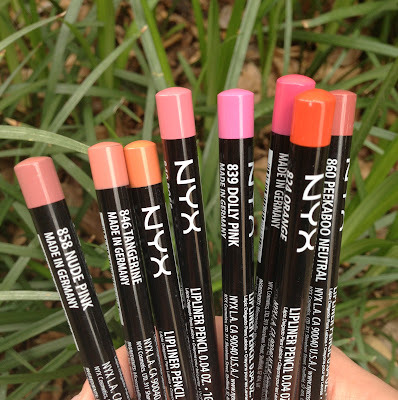 These are very comparable to the MAC pencil lipliners ($15 )but a fraction of the price (only $3.49...whhhaaattt??) You do get slightly more product and longevity with the MAC lipliners but the difference is minimal once you compare pricing.